Many drivers waste hundreds of litres (and rand) of fuel each year, simply because they keep their cars idling when it's not necessary. MOTORING NEWS - It's the new year and we all need to save some cash. So - take a closer look at how you drive and maintain your car: you'll be surprised how many unnecessary costs can be avoided. Most drivers who opt for fuel-efficient vehicles do so in order to have money to spend elsewhere and reduce their carbon footprint. But you can do a lot more than simply make the best value-for-money choice. Saving money on a vehicle goes a lot further than the purchase price. These tips from Suzuki could save you a small fortune. Smooth, consistent driving is one of the most reliable ways to save on fuel costs - it really makes a difference. Racing from one traffic light to the next saves you no time, and just uses up fuel, brakes and tyres at a much faster rate. This doesn't mean you have to stick to the slow lane, just pay attention to how you're driving and practise keeping it as smooth as possible. 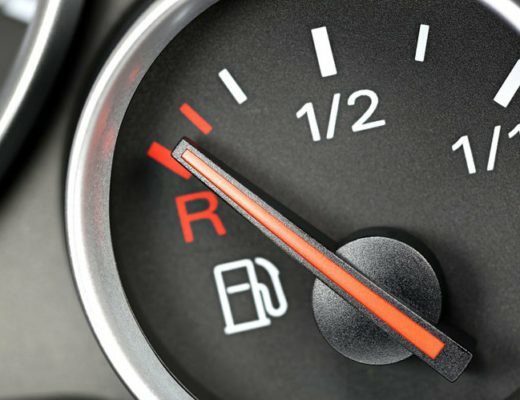 Many drivers waste hundreds of litres (and rand) of fuel each year, simply because they keep their cars idling when it's not necessary. Waiting for the kids to get in the car? Turn off the engine, even if you're only waiting for two minutes. Those minutes add up, and an idling engine uses a lot of fuel. Idling unnecessarily is also bad for the environment. Air-conditioning is a wonderful thing, especially in the middle of an African summer, but it costs you a lot in fuel money. No matter what car you drive, switching on the air-conditioning will increase fuel consumption. In order to save, try to use it sparingly by cooling down the car and then switching off for the rest of the drive. You'll be surprised how long the interior remains cool. Whilst you're perfecting the art of smooth driving, take note of wheel alignment. If the steering wheel noticeably pulls to one side, you need to get the wheel alignment checked. Just like tyre pressure, incorrect wheel alignment adds friction and increases fuel consumption. It will also cause your tyres to wear out faster, which means buying new tyres more often. Do you keep half the household scattered around your car? This additional weight adds to fuel consumption and probably costs a lot of money each year. It's a good habit to de-clutter the car every week, as all those loose items add up. On top of the savings in fuel, you may also find "treasures" you thought were lost for good. Whether your car is 30 days or 30 years old, quality parts make a difference. Make sure the car is serviced and repaired at approved dealerships and mechanics and you'll save yourself a lot of trouble and money. Quality parts may cost more (not always) to purchase, but they'll last much longer and will keep a vehicle in good nick. Poor quality replacement parts may even cause other parts to fail in turn, causing a chain reaction of expenses that could have been avoided. All of the above points may seem inconsequential on their own, but when you add them together, these tips can help you save a lot of money. To find out more about keeping your car running smoothly and keeping costs down, download Suzuki's guide: Extending the Lifespan of Your Car.